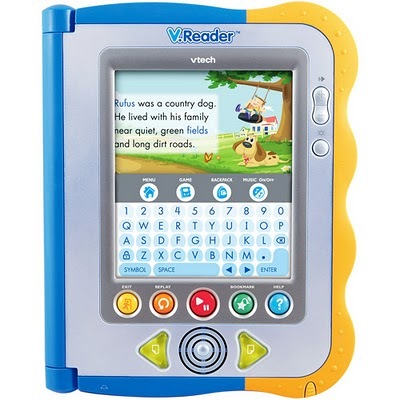 Vtech Kids V.Reader and MobiGo Make Great Gifts! Review and Giveaway! Every year there is one brand that is always under our Christmas Tree. That brand has always been Vtech Kids. They always bring us the latest and greatest educational toys that not only teach our children but make it fun! From birth and up. I love that not only are these toys education but they are quality made. We still have the Baby’s Learning Laptop™ that we bought for Gavin his first Christmas and other then replacing the batteries it could work forever! Their latest and great toys are the V.Reader and MobiGo! Do your kids try to snag your latest flip phone or eReader? Then these toys are a perfect match. The V.Reader is just like an eReader in a sense. Gavin has been using his for months now and he still continues to play with it. He loves the touch screen ability and the QWERTY keyboard. It has helped him having the same set up when using this and our laptop. I love that it tells him stories, teaches him spelling, and the basics of learning how to read. Since using the V.Reader Gavin has been able to start spelling and recognizing many words that he didn’t know before. They’ll love learning to read! With the V.Reader Interactive E-Reading System, children will discover the joy of reading while seeing well-loved characters like Shrek and Disney Fairies in stories with vivid animations. As the stories come alive with animations and sounds on the color touch screen, children take a journey into a world of imagination while developing the necessary building blocks to grow from a pre-reader to a confident and fluent reader. Cartridges are age graded for 3 to 5 year-olds and 5 to 7 year-olds. Each storybook cartridge includes a fully narrated and animated story, 8 reading skill games, and a Story Dictionary. Here is Gavin playing one of the games. 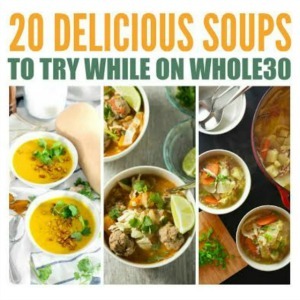 For additional videos as well as my complete review please click HERE. Then we also have the MobiGo. While both the V.Reader and the MobiGo are both amazing toys the MobiGo is a favorite of Gavin’s and he plays with it constantly. I think that the flip feature of the screen is definitely his favorite part. Sometimes he does struggle to pop it open but its just because he wants it to lift when it slides instead. This is also a great educational toy that captures both fun and learning. I love that I can purchase games with all of his favorite characters. VTech’s MobiGo gives kids ages 3-7 their own touch-tech toy that keeps them engaged while they learn. With a touch-activated screen and a QWERTY slide-out keyboard, kids get to emulate their parent’s gadgets while learning from characters like Shrek, Disney Princesses and Dora. Tap, slide or flick with MobiGo – kids pick the way they play and learn about colors, shapes, spelling, math, logic and more. Here is Gavin playing with his MobiGo. Normally he holds it in his hands but played with it on the floor for my benefit. For additional videos on this great educational toy as well as my detailed review you can click HERE. Since we have both the V.Reader and the MobiGo already this holiday season it only makes sense that we have additional games and accessories under our tree for him to take his playing to the next level. I love that not only can we purchase additional games but we can also go online and download additional games for free! Plus, Vtech just came out with a Game Storage for storing all your downloaded games! VTech’s Facebook Fans have chosen the Ronald McDonald House Charities to donate product to. For every 50 entries (comments or trackbacks) on THIS giveaway post, VTech will donate 1 product to the Ronald McDonald House Charities. With a maximum of 3 products per review, every product donated will make a difference to a family in need. 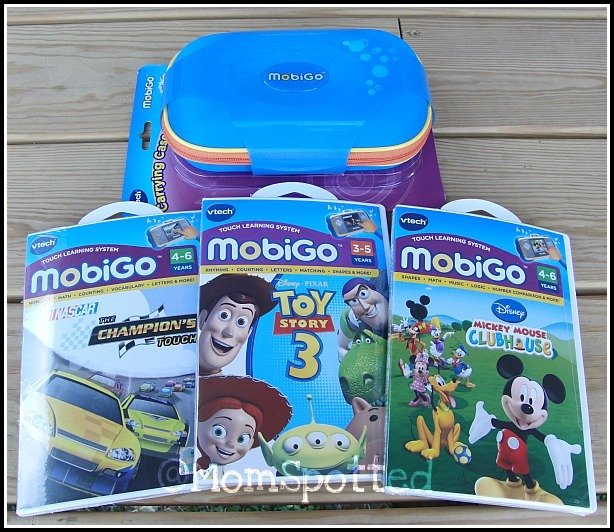 Vtech Kids has offered one Mom Spotted Reader THREE Games and the Carry Case for the MobiGo! 1.) 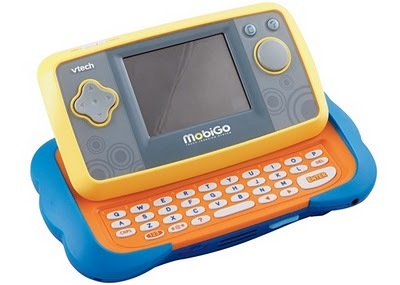 Visit Vtech Kids and tell me what item your child would love to get this Holiday season (other then the MobiGo & V.Reader)! 4.) Blog about my giveaway- with a link back to here AND Vtech Kids 2 entries (get two more if you include a photo of the giveaway). That’s many chances to win THREE new games and a Carry Case for your MobiGo!!! I would like to get my nephew the: Light-Up Learning Phone. I like the Kiddiezoom camera! My third son would love the jungle gym. My son would LOVE the Kidizoom camera!!! I might have to take a look at that for him this Christmas too. Awesome giveaway! The Nitro Kids notebook would be a great toy for kids! 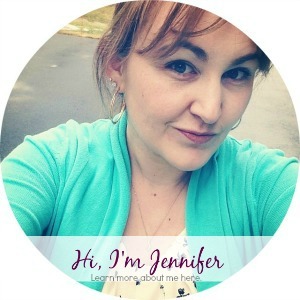 I’m already a public follower of this blog! Besides more games for the VReader and MobiGo, I would love the Kidizoom Plus in blue for my son. The Kidizoom would be great! My son would like the Buzz Lightyear Learn & Go toy. I really want to get the V.Reader for my daughter. But she’d also love to have the Kidizoom Plus Pink! I’m a MomSpotted facebook fan. Follow VTech Kids via Twitter. The kidzoom camera is what I would like for my boys. They see me taking pictures all the time and want to mimic me except they want to take my camera! I’m a Facebook fan of VTech Toys. My daughter would like the Tote & Go Laptop Pink. I follow Vtech in twitter. I’d love to get the Kidizoom Plus Pink for my daughter! 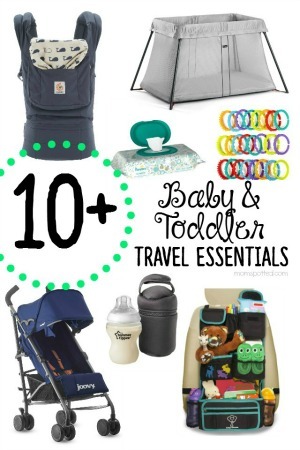 The Kidizoom is on my little one’s list! I follow Vtech on twitter. I follow vtech on FB. My son would love the KidiJamz Studio. Also like the Nitro Junior Notebook. I’d like to get the Nitro Web Notebook Pink. like you on facebook & said HI. I would love to have the V.Smile Motion Active Learning System Pink for my daughter. I know my little guy would love their Kidizoom Plus camera. Thanks for the fun. My daughter would also love the Kidizoom Plus Pink camera. i like the Ride & Learn Giraffe Bike. My son would love the Kidsjamz Studio! My daughter would like the Cyber Pocket system. KidiJamz Studio looks awesome.. I think i am actually gonna buy it! i have been looking for a microphone and keyboard for my daughter.. this has both! the sit to stand alphabet train! for my 14 month old this year. V-Tech has so many great products! Commented on Cranberry Pork Loin Roast Slow Cooker Recipe. My son would love the Vtech Kidizoom Plus camera. I think my son would also like the Kidizoom camera. I love the kidizoom camera! I follow vtech on twitter! I’m going to have to add the Winnie the Pooh Explore ‘N Learn table for my little one. My boys really want the Kidzoom camera too! My child would like the Winnie the Pooh Slide ‘n Learn Storybook. Subscribed to blog by email. Following your blog and following you on Twitter. ReTweeted contest info to Twitter and shared your blog info on Facebook. Fan of VTech Kids on Facebook and following on Twitter. hmmm, I really like the mobigo…but I think the kidzoom camera woudl be nice, too. Nitro Kids Notebook looks like a good one my son would love! I like Vtech Kids on Facebook. My youngest daughter loves Toy Story, so the Buzz Lightyear Learn & Go would be a big hit in our house!! I also like the V.Smile Motion Active Learning System as well. Thanks for the chance. I’d really like the mobigo game storage cartridge for my boys but in case that doesn’t count, the kidizoom camera looks interesting as well. kidizoom camera of coarse mobiGo is on our list!! My daughter would love the Sit-to-Stand Alphabet Train! Like VTech on Facebook — left message on their wall. My child would also love to have the Kidizoom Camera. My 4 year old, Jaclynn, wants the V-smile motion system. We have the Wii, and her older sister dominates everything at that one… so we had looked at this because it’s geared more towards the younger children. My daughter would love the Kiddiezoom camera! Thanks! 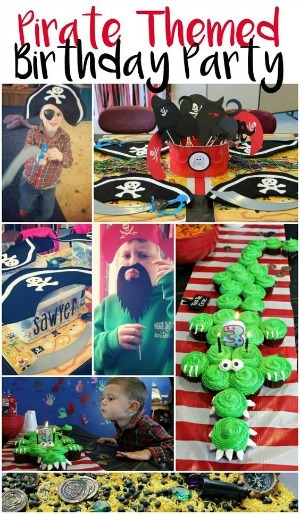 My son would love to get the kiddiezoom camera! My kids would love to get the VTech VMotion…they’re infatuated with the Wii and this is perfect for their age. The games are also beneficial to their learning and development. I love VTech’s Kidzoom camera! Mom Spotted is hosting a giveaway of a VTech MobiGo. This toy looks very cool, and I’m sure my little ones would each love to have one! I have twin 3 year old boys that would love the V.Smile Motion game system and also the Kidizoom. One of them absolutely loves to take pictures with my camera, but I would feel better and not stressed that he will drop my camera. The jungle gym bouncing colors. I am a fan on facebook and commented. My daughter would flip over the Disney Princess Magic Wand Laptop. I’m a Vtech follower on Twitter. WE love the little zoom camera. We bought one for our daughter and it has been so abused but still works like new. Its a tough little camera that is perfect for little hands. I became a friend on Goggle friend. Stormy5475. 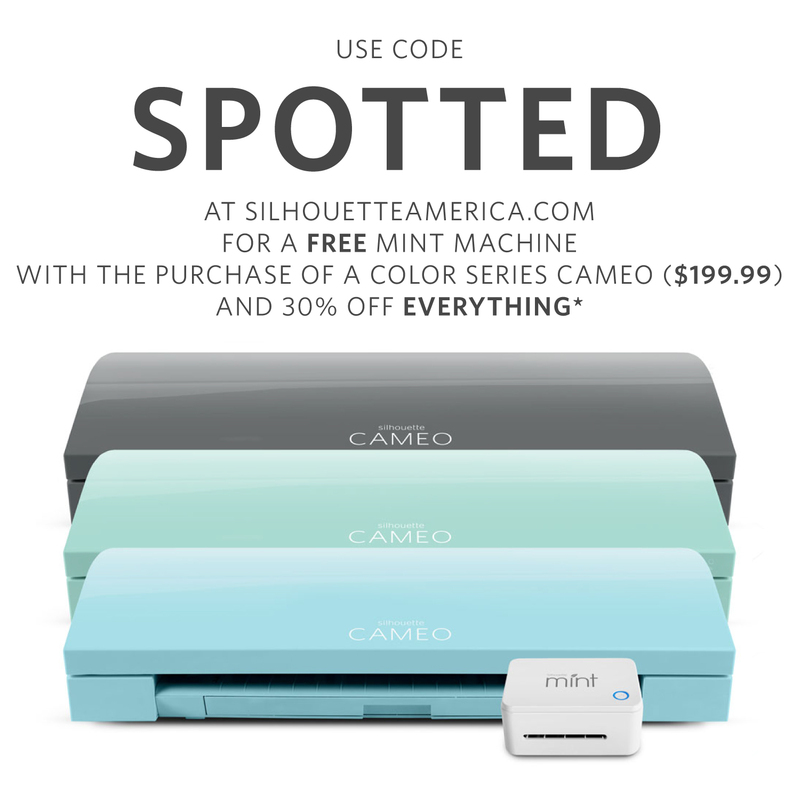 The Kidizoom camera would be great for my preschooler, and the bouncing turtle for my baby! My little guy would like the vtech cyber pocket game. I liked vtech on facebook and told them I loved their site. I posted this giveaway on my facebook page today. I also like the cyberpocket.